Terms & Conditions - ADVNTR. Welcome to our website! ADVNTR Media Ltd. and its associates provide their services to you subject to the following conditions. If you visit or shop within this website, you accept these conditions. Please read them carefully. This page was last updated on 13th December 2018. 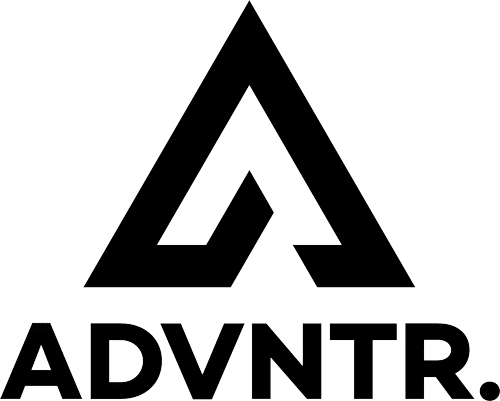 ADVNTR Media Ltd (“we/us/our“) is the host of the ADVNTR.cc Website and Event Entry System and is committed to protecting and respecting your privacy. We are the controller of your personal data that we collect from you or otherwise receive. This means that we determine the purposes and means of the processing of your personal data. Personal data is any information relating to you as an identified or identifiable natural person (a “data subject“) We will process your personal data in accordance with this policy. 1.1.1. Information you give us. This is information about you and is information which you give us by contacting us via our website or filling in online forms on our website at https://advntr.cc (“our site” or “our website“), by communicating with us by telephone, e-mail or otherwise, or by posting reviews on our site. The information you give us may include your name, address, billing address, e-mail address and phone number, financial and credit card information. Please be aware that if you fail to provide to us information that we ask for, we may be unable to provide services to you or otherwise to fulfil your requirements. It is important that we hold current information about you, so please provide us with any appropriate updates. 2.1.2.2 information about your visit, including the full Uniform Resource Locators (URL), clickstream to, through and from our site (including date and time), products or services you viewed or searched for, page response times, download errors, length of visits to certain pages, page interaction information (such as scrolling, clicks, and mouse-overs), and methods used to browse away from the page. 1.2. We do not knowingly collect personal data relating to children. If you are under the age of 18 please do not use this website or order products or services from us. Please, instead, ask an adult, such as your parent or guardian, to do these things for you. When you interact with https://advntr.cc (the Site), we try to make that experience simple and meaningful. When you visit the Site, our web server sends a cookie to your computer. Cookies are small pieces of information which are issued to your computer when you visit a website and which store and sometimes track information about your use of the Site. A number of cookies we use last only for the duration of your web session and expire when you close your browser. Other cookies are used to remember you when you return to the Site and will last for longer. Customise elements of the promotional layout and/or content of the pages of the Site. Collect anonymous statistical information about how you use the Site (including how long you spend on the Site) and where you have come to the Site from, so that we can improve the Site and learn which parts of the Site are most popular with visitors. Gather information about the pages on the Site that you visit, and also other information about other websites that you visit, so as to place you in a “market segment”. This information is only collected by reference to the IP address that you are using, but does include information about the county and city you are in, together with the name of your internet service provider. 3.1.3. where you have given us your consent. 3.3.6. to make suggestions and recommendations to you and other users of our site about content or hosted events. 4.1.6. credit card processors and other payment services providers, for the purposes of effecting payments by or to you. 4.1.7. We will disclose your personal data to third parties if we are under a duty to disclose or share your personal data in order to: comply with any legal obligation; or to enforce or apply our standard terms and conditions of business and other agreements; or to protect our rights, property, or safety, our clients, or others. This includes exchanging information with other companies and organisations for the purposes of fraud protection and credit risk reduction. 5.3. We will also require third parties to whom we disclose your personal data to take appropriate measures to ensure the security of your personal data and not to use it except for the purposes for which we disclose it to them. 6.1. We do not transfer your personal data outside the European economic area (EEA). 7.1. We will only retain your personal data for as long as necessary to fulfil the purposes for which we collected your personal data. 7.2. To determine the appropriate retention period for personal data, we consider the amount, nature, and sensitivity of the personal data, the potential risk of harm from unauthorised use or disclosure of that personal data, the purposes for which we process your personal data and whether we can achieve those purposes through other means, and the applicable legal requirements. If by law we are required to retain any information about our entrants or their interactions with us, we will retain your personal data insofar as required to comply with such law. 7.3. We may anonymise your personal data (so that it can no longer be associated with you) for research or statistical purposes, in which case we may use this information indefinitely without further notice to you. 8.1.1. Request access to your personal data (commonly known as a “subject access request”). This enables you to receive a copy of the personal data we hold about you and to check that we are lawfully processing it. 8.1.2. Request correction of the personal data that we hold about you. This enables you to have any incomplete or inaccurate information we hold about you corrected, though we may need to verify the accuracy of the new data you provide to us. 8.1.3. Request erasure of your personal data. This enables you to ask us to delete or remove personal data where there is no good reason for us continuing to process it. You also have the right to ask us to delete or remove your personal data in certain other circumstances, namely where you have successfully exercised your right to object to processing (see below), where we may have processed your information unlawfully or where we are required to erase your personal data to comply with local law. Note, however, that we may not always be able to comply with your request of erasure for specific legal reasons which will be notified to you, if applicable, at the time of your request. 8.1.4. Object to processing of your personal data where we are relying on a legitimate interest (or those of a third party) and there is something about your particular situation which makes you want to object to processing on this ground as you feel it impacts on your fundamental rights and freedoms. You also have the right to object where we are processing your personal data for direct marketing purposes. In some cases, we may demonstrate that we have compelling legitimate grounds to process your information which override your rights and freedoms. 8.1.5. Request the restriction of processing of your personal data. This enables you to ask us to suspend the processing of personal data about you, for example if you want us to establish its accuracy or the reason for processing it. 8.1.6. Request the transfer of your personal data to you or to another person or entity. In that case we will provide to you, or to the person or entity to whom you wish us to transfer your personal data, your personal data in a structured, commonly used, machine-readable format. 8.1.7. Withdraw consent at any time where we are relying on consent to process your personal data. However this will not affect the lawfulness of any processing carried out before you withdraw your consent. If you withdraw your consent, we may not be able to provide certain products or services to you. We will advise you if this is the case at the time you withdraw your consent. 8.1.8. Lodge a complaint with the UK Information Commissioner’s Office (ICO) or another applicable regulator. If you have any complaints about the way in which we process your personal data please do contact us, as set out below, as we would appreciate the opportunity to resolve your complaint. 8.2. If you want to review, verify, correct or request erasure of your personal data, object to the processing of your personal data, or request that we transfer a copy of your personal data to another party, please contact us using the contact details provided below.